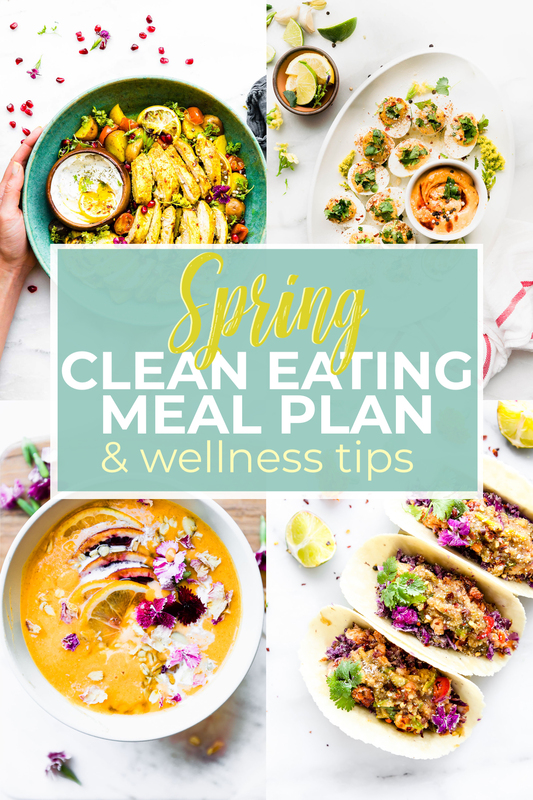 This SPRING clean eating meal plan, along with our wellness tips, can help you improve your overall health. 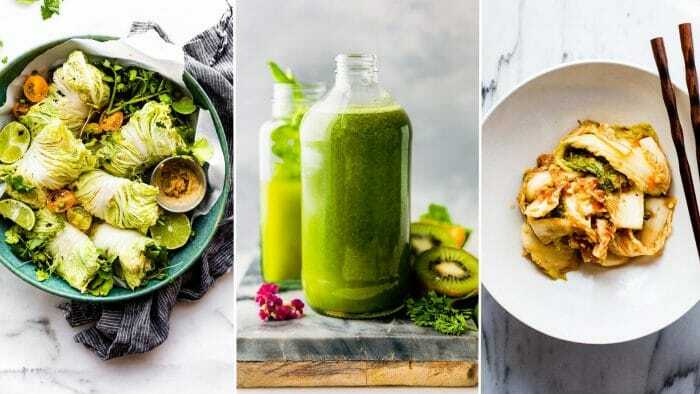 Clean eating can be seen as a fad diet or detox, but that’s not our focus here. 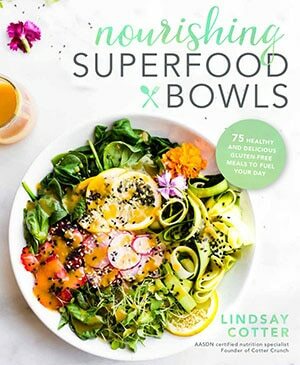 Our focus for these recipes are to provide nourishment with whole foods and unprocessed ingredients. 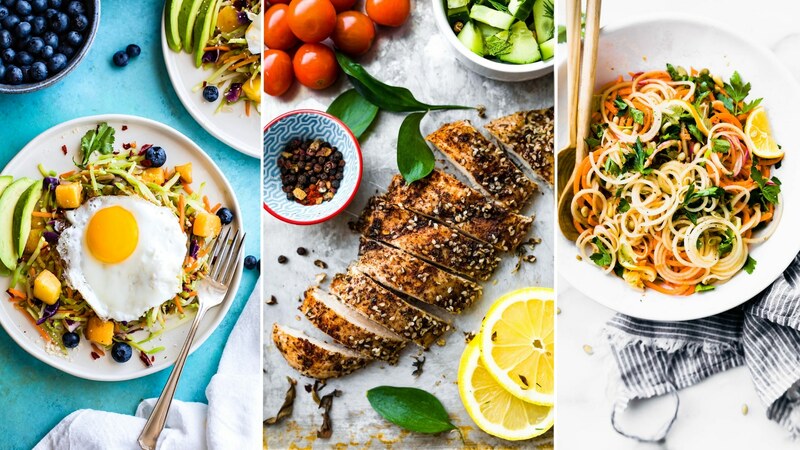 These recipes are easy to make, delicious, and nutritious! 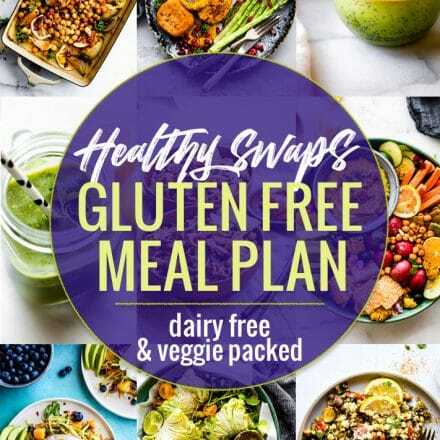 We are grateful to be partnering with Eggland’s Best on this clean eating and wellness meal plan.Thank you for supporting the brands that help me to keep creating new recipes in the Cotter Crunch kitchen! What is clean eating? And we’re not talking about a fad diet here. A clean eating meal plan involves eating more real foods and fewer processed and packaged foods. 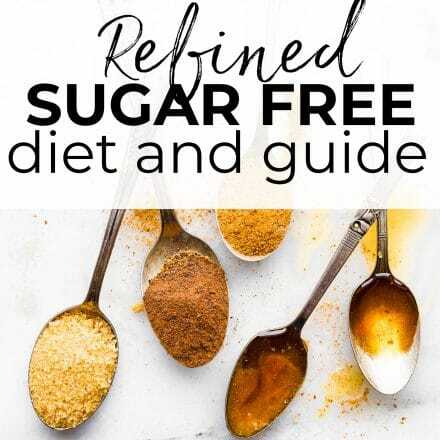 Especially those with additives and/or refined sugar. To eat clean requires a shift in mindset. You will focus on eating regular, balanced meals and healthy snacks that are nourishing. Stop rushing through meals and take time to enjoy the food you eat! Take extra time to pack foods if you are traveling or need foods to fuel you through the work week. To reduce your carbon footprint, try to eat plant-based, vegetarian meals one or two times per week. One of my favorite clean eating foods that meets all three of those “clean eating” tips, is eggs! But not just any egg, quality and nutrient dense eggs. Which is why we LOVE Eggland’s Best Eggs! Eggland’s Best Eggs – Better Nutrition, Better Taste, Better Eggs! Clean living and eating with Eggland’s Best! Better feed for those cage free farm fresh eggs – Eggland’s Best hen feed contains no animal by-products and no recycled or processed foods. No hormones, steroids or antibiotics of any kind. Just premium ingredients and more vitamins and minerals than ordinary hen feed. Cage-Free eggs are not kept in cages and are free to roam. They are provided with fresh air, and are protected from predators. 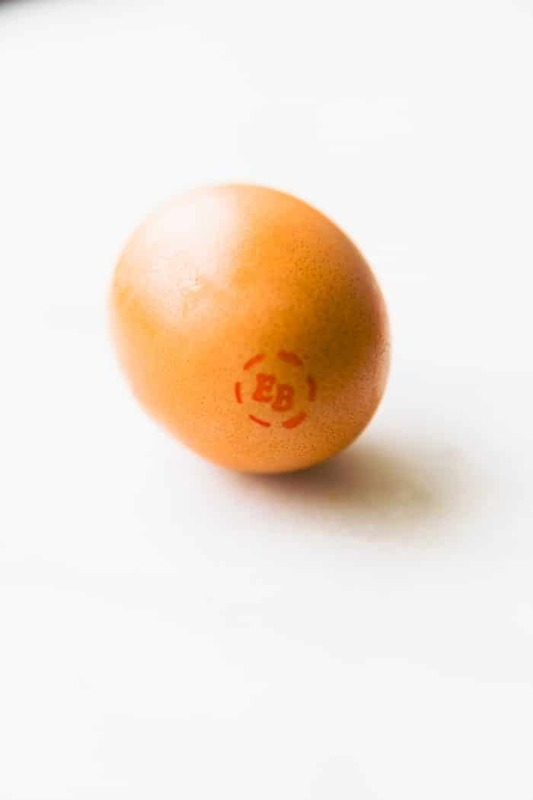 SUPERIOR Nutrients – Eggland’s Best Eggs are lower in calories, saturated fat, and cholesterol (compared to ordinary eggs) yet still HIGHER in nutrients. Twice the amount of Omega 3’s, folate, and 6x more vitamin D! 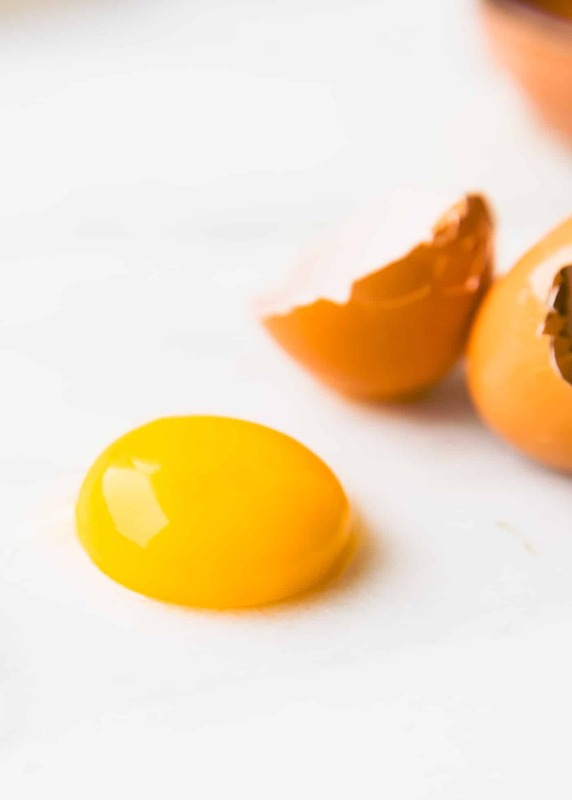 Freshness and Carbon Footprint – Did you know that Eggland’s Best eggs are produced locally throughout the United States? And these fresh eggs and are delivered to stores typically within 72 hours of laying. Which means there’s a farm-fresh taste in every single egg. Looking for the all recipes in PDF form? No prob. We’ve got that covered for you too. Just CLICK HERE TO DOWNLOAD! What foods and nutrients are good for your skin? Eliminate refined sugars, processed foods, and artificial additives, all of which can make eczema worse. 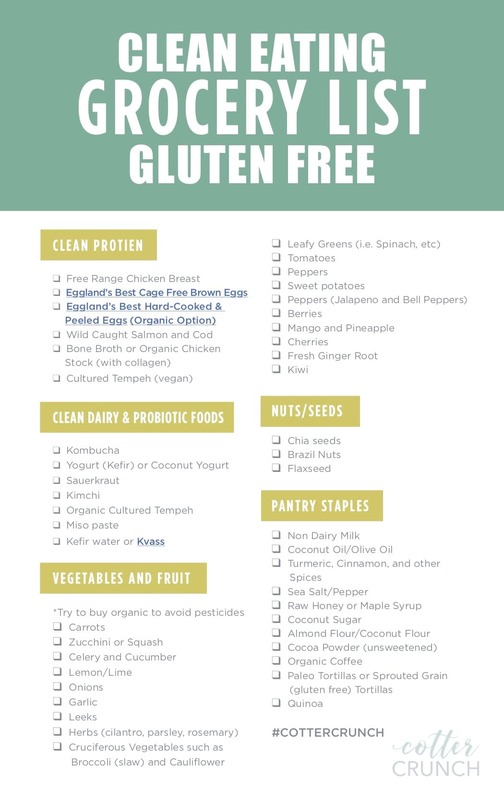 Also, try to eat fewer allergen foods, including gluten, dairy, shellfish, and peanuts. 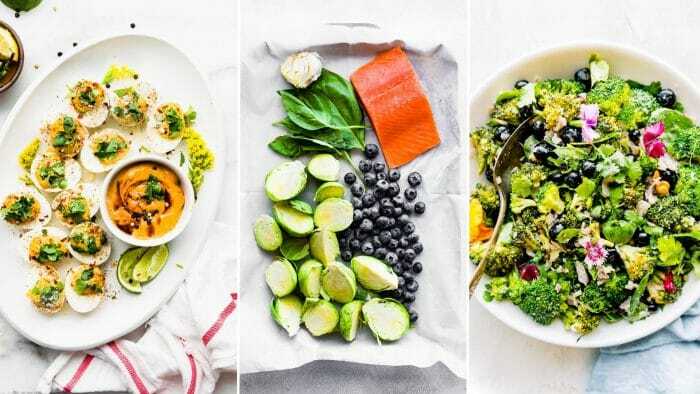 Try these clean eating meal plan recipes to nourish your skin! Carrot Celeriac Spiralized Salad – Add salmon or tuna for an extra boost of Omegas! This egg white facial mask will give your skin a healthy glow! Combine the ingredients together and apply to your face, avoiding your eyes and nostrils. Which foods and nutrients are good for digestion? To aid in digestion, consume gut-friendly foods, as well as those rich in probiotics and prebiotics. What’s the difference in probiotics vs prebiotics? The healthy bacteria in your gut—the ones you get from probiotic foods—feed on (prebiotic) fiber in other foods. Prebiotics are certain fibrous foods that are non-digestible. The Prebiotic fiber goes through the small intestine undigested and is ferment in large colon. That fermentation feeds (nourishes) the gut bacteria. Probiotics are LIVING good bacteria that support our body’s ability to absorb and digest nutrients. Boosting immunity. You need a combo of both for good health. For a gut healing breakfast that’s rich in anti-inflammatory properties, top a bowl of quinoa with bananas, berries, and chia seeds. Quinoa is a delicious source of gluten-free soluble fiber! Toasted Pine Nut and Leek Quinoa Salad (prebiotics and fiber). Pair with fish, soft boiled eggs, or chicken for extra protein. Can certain natural foods increase metabolism? Let’s talk metabolism! What is it? Technically, it’s all of the chemical reactions that take place to keep us alive. Our metabolism is the process of the body turning calories we consume into usable energy. To increase your metabolism, you of course need to exercise and increase muscle mass. 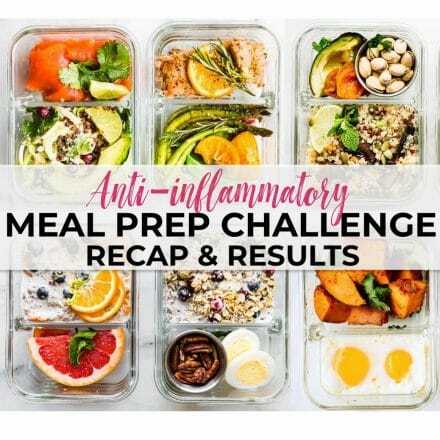 But eating unprocessed foods that are rich in protein, as well as those with healthy fats, can help support your metabolism, in combination with exercise. This along with proper REST and Stress management. Oh and of course, avoid dieting! Let’s keep the blood sugar stable. Mmmm k? 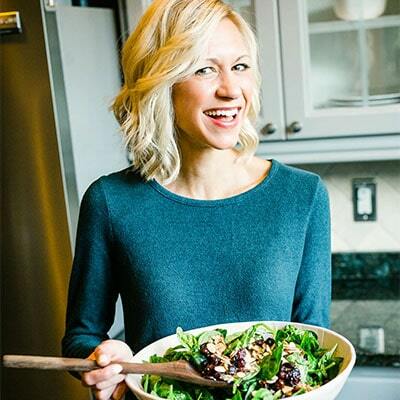 Some of my favorite nourishing foods to support Weight Management below! Nuts – Choose nuts that are low in saturated fat, such as almonds and pistachios. Clean up your act. Adopt a cleaner lifestyle by getting plenty of fresh air, movement, and activity during the day. Shoot for 7 to 8 hours of sleep at night, and manage your stress in healthy ways. I know, easier said than done. Lemon is a terrific cleaning agent and an excellent alternative to using baking soda to keep your refrigerator smelling fresh. 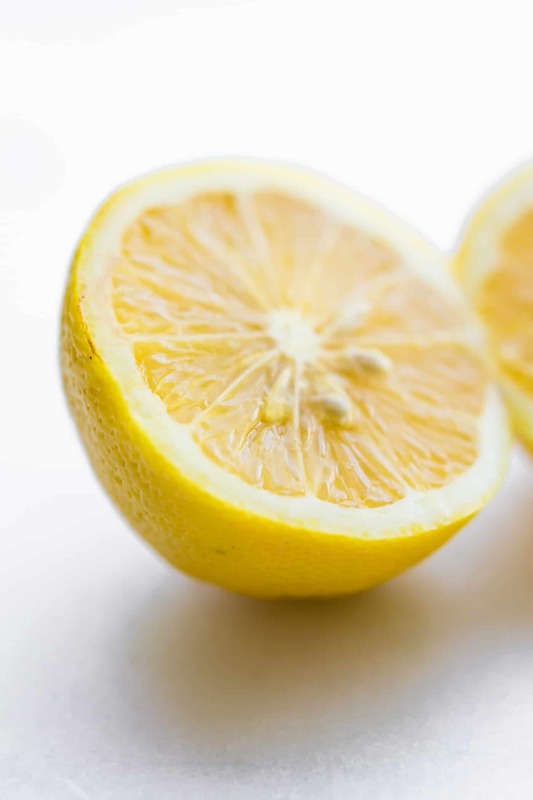 Cleaning countertops – Cut a whole lemon in half, squeeze the juice onto the counter. Use the lemon as a scrubber and scrub over the stains. Leave the juice on until the stains disappear, then rinse with water and dry. A Fresher Fridge – Juice 2 lemons into a small bowl and place it in your refrigerator. Alright my friends! That’s a wrap! You ready to tackle SPRING with CLEAN LIVING? PRINT OFF below or DOWNLOAD HERE. Keep up with Eggland’s Best on social media, Instagram, twitter, Facebook. They are full of recipe inspiration! Cheers and have a SPRING-Y week! Disclaimer: I am not a medical practice and do not provide medical advice, diagnosis, or treatment. Please seek diagnosis, treatment, and advice from qualified providers based on your condition. So much great info packed into this post Lindsay! Thanks so much for sharing! Always looking for new tips to improve my health. And my family’s! 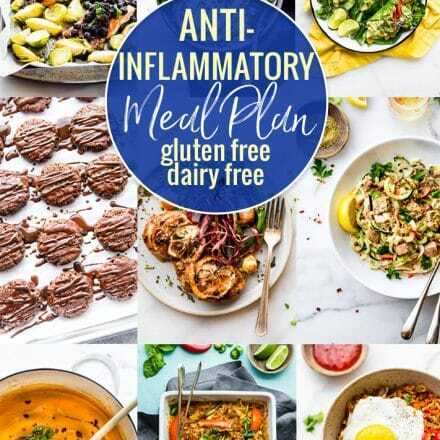 Everyone can use a plan like this, love all of the recipes! I sure hope so! Thanks Matt. THank you friend. Totally agree! DIE-its are not the way. Loving all of these tips! Can’t wait to try some of them! I should never come here when I’m hungry.